MYTHOLOGY Brahmaputra has been depicted as the son of Lord Brahma, creator of this universe. There are many legends that support this myth. A tenth-century text called Kalika Purana tells the story of the birth of Brahmaputra. In ancient times, there lived a sage named Shantanu and his wife Amogha. Impressed by their piety, Lord Brahma felt Amogha was the right person to bring forth his own son whom he wanted to create for the benefit of humanity. Therefore, Amogha bore Brahma’s son. 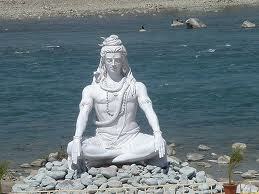 Shantanu then placed him in the midst of four mountains, the Kailash, Gandhamadana, Jarudhi, and Sambaka. The son assumed the form of a large mass of water where the Gods and heavenly maidens would have their bath. Deriving from this myth, the Brahmaputra is considered a male river even today. He is the most important among the seven male rivers in the country. Brahmaputra runs for about 800 miles in Tibet where it is called the Tsangpo. It bends to the south as it enters India and runs as River Siang for a while. The Siang falls to the plains at Pasighat in the easternmost state of Arunachal Pradesh. Pasighat is a place worth visiting. Something amazing about the Siang here is that it changes its color every half an hour. The banks on either side of the Siang are covered with lush green vegetation. As the rivers Dibang and Lohit join the Siang, it acquires the name of Brahmaputra and flows into Assam. Brahmaputra is to Assam what the Ganges is to the northern part of India and Kaveri is to the south.Coming down from a place called Sadiya, south of Arunachal Pradesh, the Brahmaputra passes through Dibrugarh, Neamati, Tezpur, Guwahati, and finally joins Padma, the easternmost strain of the Ganges. This combined stream then flows into Bangladesh where it joins river Meghna, one of the most important estuaries of the Ganges. The Brahmaputra valley is closely associated with lores from the great Indian epic Mahabharata and with Shaivite traditions (worship of Lord Shiva, the destroyer in the Hindu pantheon). Every few yards there is a ruin or a site that brings mythological associations with it. One site, which is considered very holy, is the Kamakhya temple, about 2 km from the banks of the Brahmaputra, near Guwahati. It is believed that if one do not go up the steps leading to this temple of feminine power, Shakti, or the consort of Shiva, he will be made to cross the Brahmaputra seven times. That was quite a threat, for the Brahmaputra is not a quiet river that lets you pass easily. In fact, there are stretches that are so dangerous that locals believe a monster lives in those patches. Every year that monster takes a toll on the human life as boats capsize or floods swallow the neighboring areas.